Cocaine is a powerful and addictive stimulant that has a direct effect on the brain. Cocaine addiction is a serious condition that requires immediate medical attention from a certified cocaine drug treatment center. 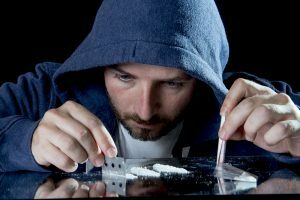 If someone you know is battling problems with cocaine abuse, it is important to learn about this drug, its ability to cause addiction, and the ways in which a quality cocaine addiction treatment program can help. At Restore Drug Treatment LA, we specialize in treating all types of addiction, from the mildest to the most severe. We have the tools, knowledge, and experience to supply you with the highest quality of care. Through the use of our individualized rehabilitation plans, counseling programs, holistic treatments and lifelong support, you can start your journey to recovery and finally begin to heal. Overcoming cocaine addiction is possible. Begin a new, fulfilling life of sobriety at Restore Treatment Center today. Our admissions counselors are on call 24 hours a day, 7 days a week to help guide you to the start of your recovery. Cocaine acts specifically on the ‘ventral tegmental’ area of the brain, which is closely related to the brain’s reward system. This results in the release of dopamine – the reward chemical linked to pleasure and motivation. This drug is a re-uptake inhibitor that blocks dopamine transporters, thus keeping greater amounts of dopamine available in the brain. It also has the same effect on norepinephrine and serotonin levels, making it a triple re-uptake inhibitor as well. Cocaine derives from the leaves of the coca plant and is often distributed in its powdered form. ‘Crack cocaine’ is simply another form of cocaine, where the powder is mixed with a weak base, such as baking soda, in order to create a solid known as crack or ‘rocks.’ While cocaine powder is snorted, the lower melting point of crack allows it to be smoked. The sound it generates when heated is what gives crack its name. Crack cocaine is slightly more popular among recreational stimulant users because of its faster absorption rate, which causes an immediate and intense effect. Crack takes about eight seconds to reach the brain, whereas powdered cocaine takes approximately 10 minutes. Regardless of the form and method used, cocaine is a very dangerous drug that has a profound influence on the brain and body, both in the short- and long-term. What Are Signs That You May Need Cocaine Addiction Treatment at Restore? At first, cocaine users experience extreme highs associated with a build-up of dopamine. This is soon followed by a ‘crash’ when dopamine levels plummet, causing the user to feel exhausted, depressed, and ill. This is what often leads many people to use again. Cocaine abusers continue to use in an effort to drown out the unpleasant effects of the comedown, while simultaneously bringing back the euphoric high. However, dopamine levels take a considerable amount of time to replenish, making it difficult for users to achieve the desired effects. This greatly contributes to one’s potential for physical and psychological cocaine addiction, as continued use can bring about tolerance and dependence. Another symptom of cocaine abuse is ‘Delusional Parasitosis,’ which is the feeling of being covered in bugs. This delusional infestation syndrome causes the person to suffer from excessive scratching, biting, and picking. Both crack cocaine and powder cocaine also have severe effects on the heart, and in high doses can lead to heart attack, stroke, and even death. 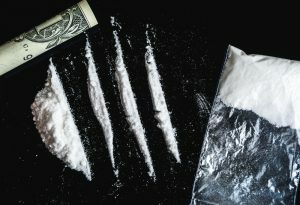 Some users will combine cocaine with other drugs as a means to ‘extend the high’ or ‘cushion the crash.’ Barbiturates are often used for the latter, whereas either heroin or marijuana can be mixed with cocaine to amplify its effects. Any form of cocaine abuse, especially dangerous extremes such as these, can lead to the development of other addictions and the abuse of a wide range of substances. Take Your Life Back Today! You are not alone in your fight against addiction. A certified cocaine drug rehab center is readily available to help you leave drug abuse and dependence in the past. Addiction is a disorder that is hazardous to one’s health, and therefore, it must not be left untreated. At Restore Drug Treatment Center, we offer a wide selection of programs that focus on helping an addict in need. Our licensed and trained medical staff preform detailed assessments and evaluations in order to construct a tailored treatment plan that meets your specific needs in recovery. When coming to the Restore Treatment facility, you can expect to receive a full continue of care, which includes cocaine detoxification, residential rehab, outpatient programs, counseling, holistic treatments, sober living, and aftercare support. By using an individualized approach to treatment, Restore Drug Rehab can help you achieve and maintain lifelong sobriety. If you suspect that someone you know may be struggling with a cocaine dependency, or believe your own challenges with abuse have developed into a cocaine addiction, then it is crucial to seek immediate help. Find a trusted partner for recovery with Restore Drug and Alcohol Treatment LA. The licensed staff at our accredited drug rehabilitation facility can provide you with the highest quality and care for cocaine addiction treatment. Call Restore today to speak with our addiction specialists about starting the journey to recovery.